Born in February 4, 1977, Gavin Shane DeGraw is an American musician, singer and songwriter. In 2003, when his first single I Don’t Want To Be was chosen to be the theme song for the TV drama series One Tree Hill, Gavin rose to fame with it; he released his debut album Chariot (2003) and since then he never stopped. 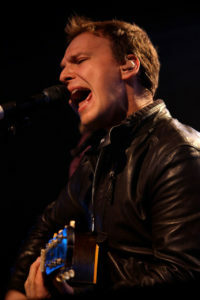 He released his second album Gavin DeGraw (2008) and the single In Love With a Girl charted the top twenty. His third album Free (2009) has been made in less than two weeks and it is is one of his deepest; the album has been described as “recorded versions of his life favorites”. With his fourth album Sweeter (2011), Gavin successfully produced three hit singles: Not Over You, Soldier and Sweeter and the album features many tracks co-written with other artists; the fifth album Make a Move (2013) has the single Best I Ever Had and in the same year, Gavin supported the band Train across their series of US shows, along with The Script. His latest album, Something Worth Saving (2016) was releases on September 09 and its first single She Sets The City On Fire was released on July 15, same year. With 6 studio albums so far and more than a handful of successful singles, Gavin is a multi talented artist and I’ve been to his concert for the album Make a Move and, damn!, he is good! I mean, he is really good and if you want to go to a concert that is gonna make you feel you spent your money well, this is it! His last album is really good as well – although when I heard it the first time I wasn’t feeling alright and I didn’t enjoyed it: thank God for second chances! For me the whole album is beautiful but Something Worth Saving is something that touches my heart. I look forward for the time I’ll get the chance to see him again because he came here for Something Worth Saving and I didn’t go because of the previously mentioned reason. Stupid me! If you want to know more about him and his career, check his official website and FB official page. Let me know what you think of this great talented man and his work and don’t forget to follow us on our FB official page. 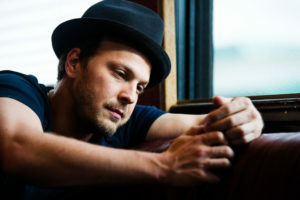 This entry was posted in Music, Pop and tagged 6 albums, albums, facebook, FB, gavin degraw, God, hit, music, official page, something worth saving, studio, work by hadassa. Bookmark the permalink. Good job! Thanks for doing this.